Application Deadline: 16th June 2017 (23:59 Budapest time). About the Award: The core mission of the Scholarship Programme for Christian Young People is to provide the possibility of studying in Hungary for young Christian students living in the crisis regions of the world and/or being threatened in their country because of their faith. After completing their studies, the scholarship holders will return to help their home community with their gained knowledge, and thy will participate in the reconstruction of war-destroyed countries and contribute to improvement of social situation and preservation of culture of Christian communities. Eligibility: The Scholarship Programme is based on the cooperation between the Ministry of Human Capacities of Hungary and churches, pursuing humanitarian activities in crisis regions. The applicants may not have Hungarian citizenship. Local Churches are to verify and prove that the applicant belongs to their religious community. Only those applications can be awarded with scholarship, which also possess the recommendation from the local Church along with the approval of the Deputy State Secretariat for the Aid of Persecuted Christians. Scholarship holders must possess the relevant language and education certificates, degrees requested by the host university of the selected degree programme. The scholarship holders commit themselves in the scholarship agreement that after the scholarship agreement ends they return to their home countries, if the local security and political conditions allow it so. An individual may win the scholarship only one time at a study level. the applicant has proved his/her language proficiency and the language skills meet the requirements of the Host Institution. Applicants with an eligible, formally correct application can proceed to the institutional entrance examinations. Each applicant can participate in up to two institutional entrance examinations – based on the submitted application form. Eligible Countries: For the 2017/18 academic year the scholarship is announced for the citizens of following countries: Egypt, Ethiopia, Bangladesh, Bhutan, Lebanese Republic, Republic of Iraq, State of Israel, Palestine, Islamic Republic of Pakistan, United Emirates Arab, Saudi Arabia, Syrian Arab Republic, The Hashemite Kingdom of Jordan, Nigeria, etc. How to Apply: The applicants must fill out and save all requested information on the online application form in English language and also present all relevant documents. It is relevant to go through the Application requirements in the Program Webpage before applying. Visit Program Webpage for more details. 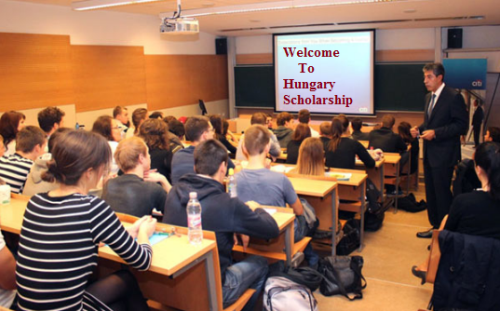 All the information about Fully-Funded Scholarship Program for Young International Students has been delivered nicely; interested and talented students who are eager to pursue their Free Tuition/Scholarships/Study in Hungary can apply now. Award Provider: The Programme is managed by the Deputy State Secretariat for the Aid of Persecuted Christians and organized by the Tempus Public Foundation.